For creating a suite: Choose Other and then choose Java -> Junit -> JUnit Test Suite. Next page choose between JUnit 3 or 4 and click Finish. You can create Class with JUnit Test by choosing Other and then choose Java -> Junit -> JUnit Test Case.... In JUnit, test methods are marked with @Test annotation. To run the method, JUnit first constructs a fresh instance of the class then invokes the annotated method. Any exceptions thrown by the test will be reported by JUnit as a failure. If no exceptions are thrown, the test is assumed to have succeeded. Detailed steps for using JUnit with Eclipse. Launch eclipse. If you do not see your bj4 project from assignment 7, follow these steps to set it up.... This is a relatively open question. If I have built an application in a project in Eclipse and I then want to test this project, should I create the JUnit code within the same project or create a separate project. To create JUnit tests for the Driver class, follow Steps 1 to 9 listed previously in this article, but be sure to make the following changes: In Step 2, right-click or control-click the Driver.java branch instead of the TrafficLight.java branch.... 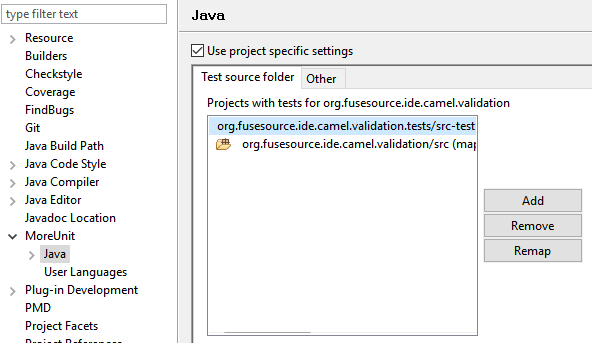 Assuming you have an existing JUnit test case class, if you add a method to the target class (or choose to test a previously untested method), is there a way to tell Eclipse to generate the stub for the "new" method(s) in the existing TestCase without creating a new test case class? 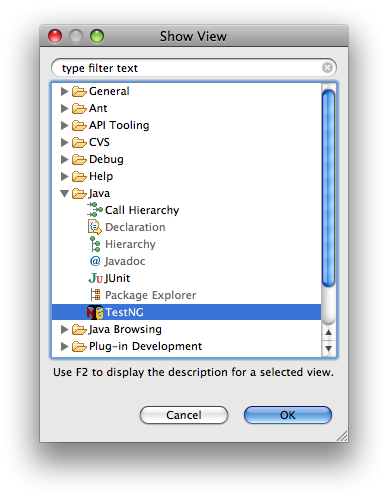 16/12/2012 · In this short tutorial, I show how to conduct unit testing in Eclipse with JUnit 4. Note that the class has to be a regular JUnit 4 test class, i.e. it has to adhere to the common naming convention and must be public. The @SelectPackages-annotation interprets packages as a hierarchy so it runs all tests in all packages prefixed with org. codefx. demo. junit5. 2.1.5 You can create a normal Java class as shown in the Eclipse tutorial, but include junit.framework.TestCase as the super class of the test class you are creating. 2.2 Check to make sure that you are creating the TestCase in the proper package.